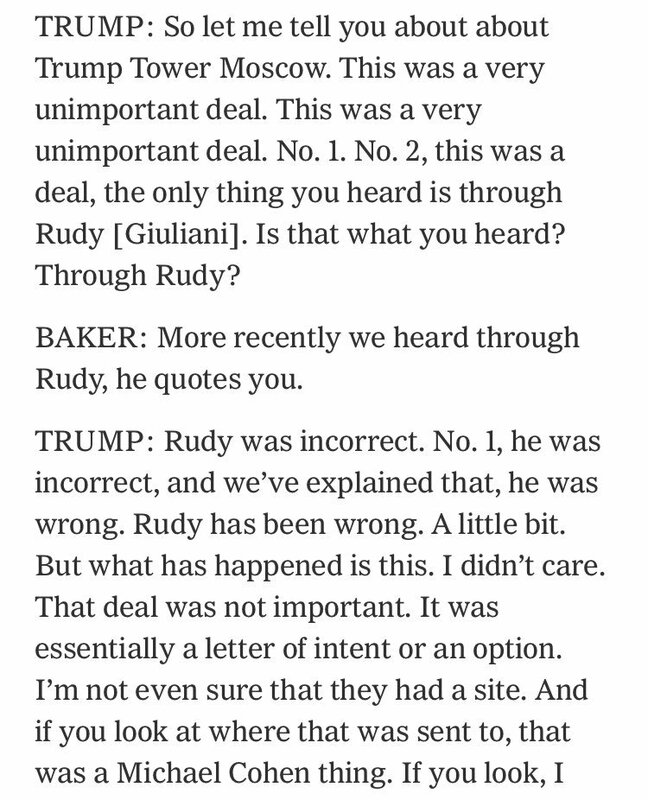 A very interesting and Trumpian interview that Trump gave with the New York Times last night. 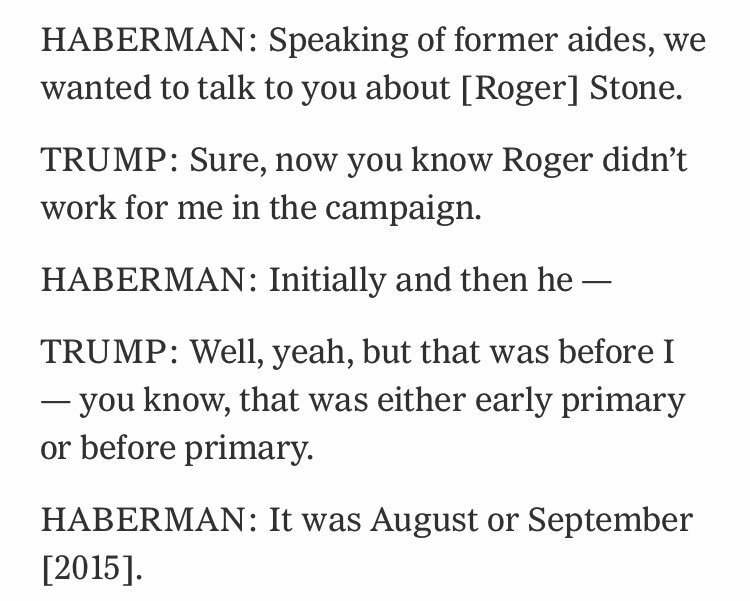 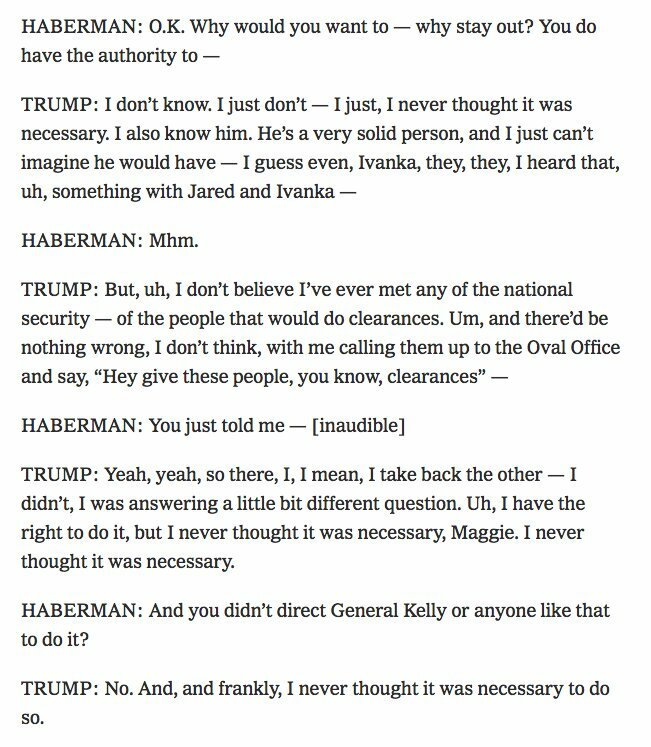 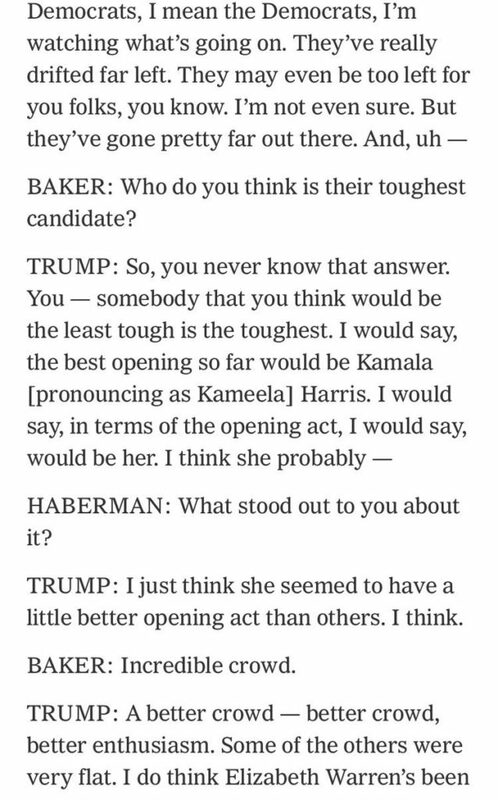 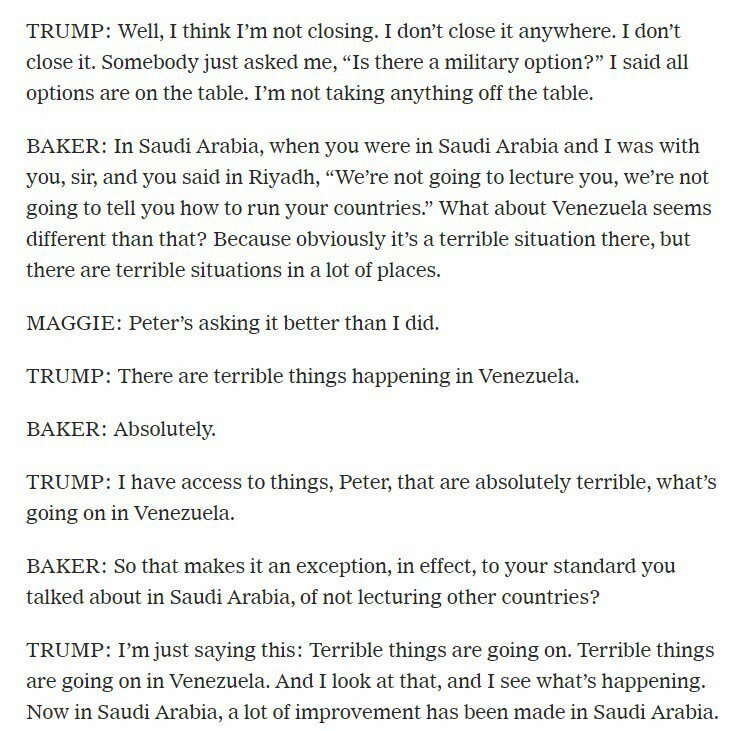 Twice, Trump lies to Maggie Halberman of the NY Times, and she corrects him, and then he just admits he was wrong. 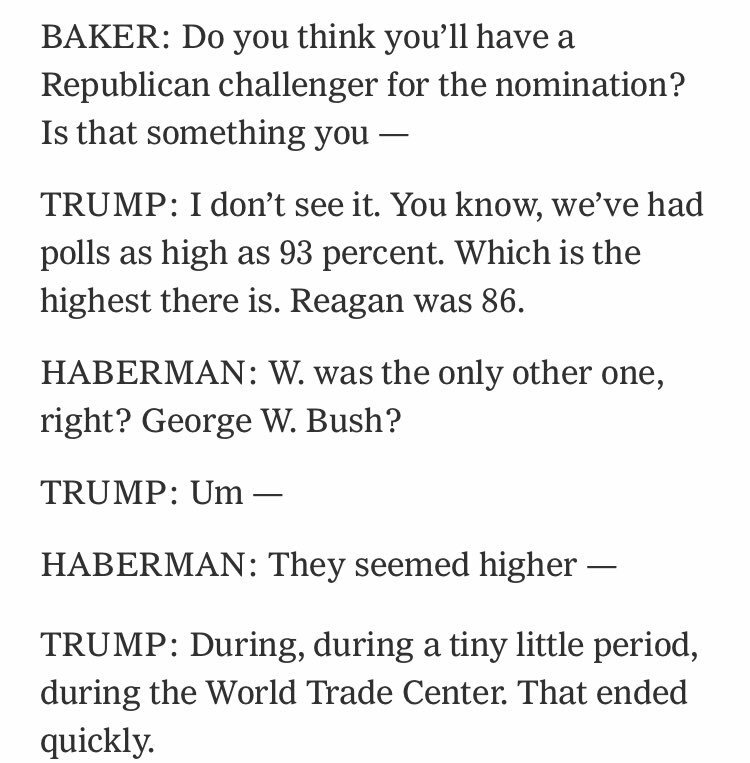 This happens a lot: when he’s challenged, he just concedes. 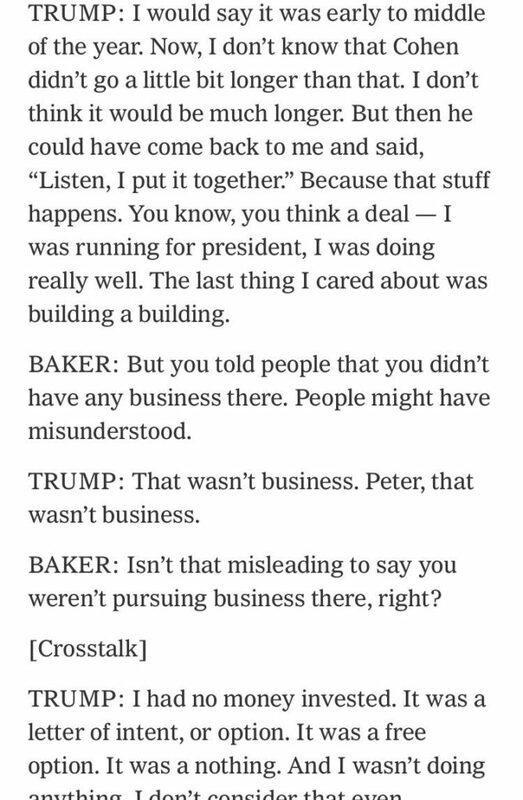 Trump makes a new claim about Trump Tower Moscow: he wasn’t lying when he said he wasn’t doing business with Russia because that wasn’t business, just a “free” letter of intent to do business. 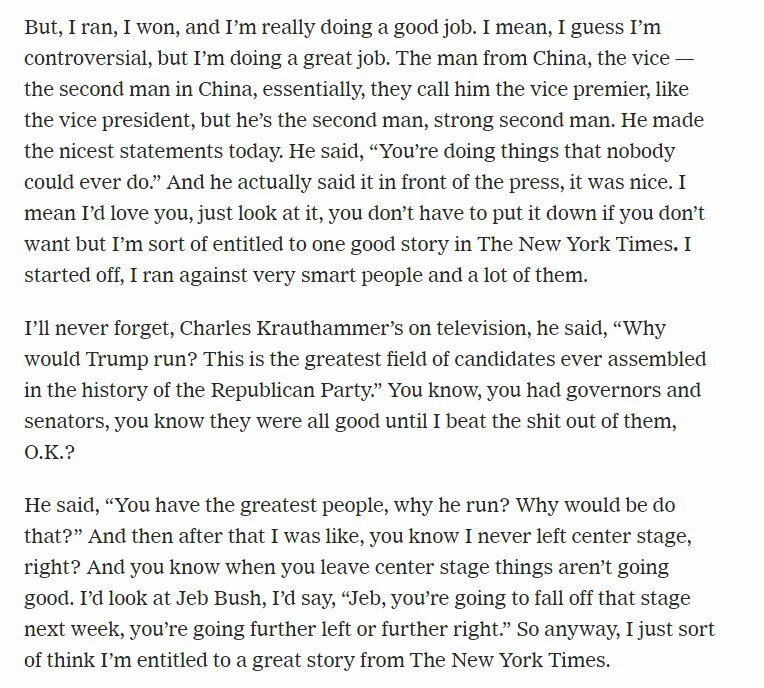 Good comedy: Trump tells the NY Times that past presidents had only artificial accomplishments, unlike his, like him passing Veterans Choice. 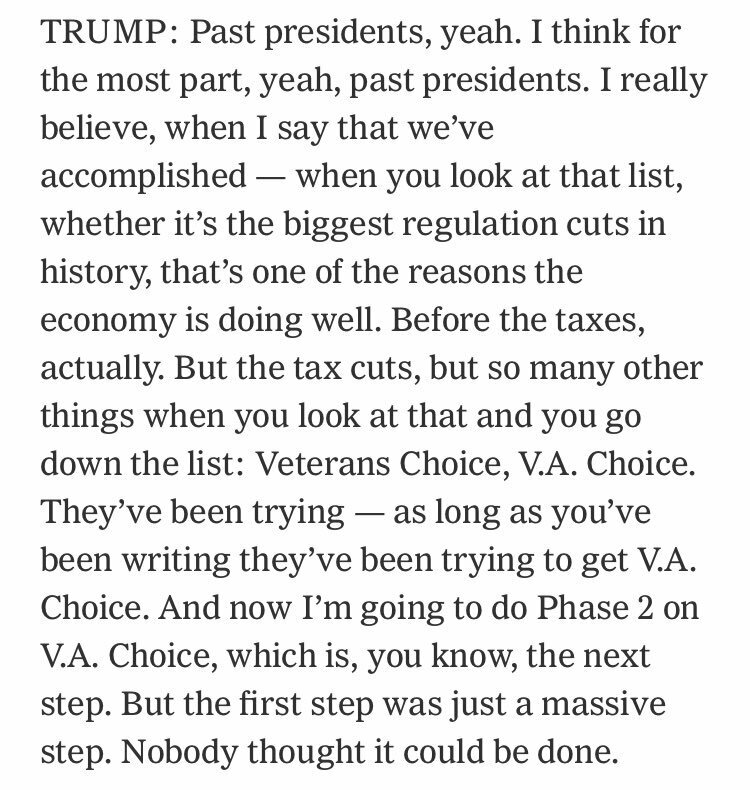 Veterans Choice was created in 2014 under Obama. 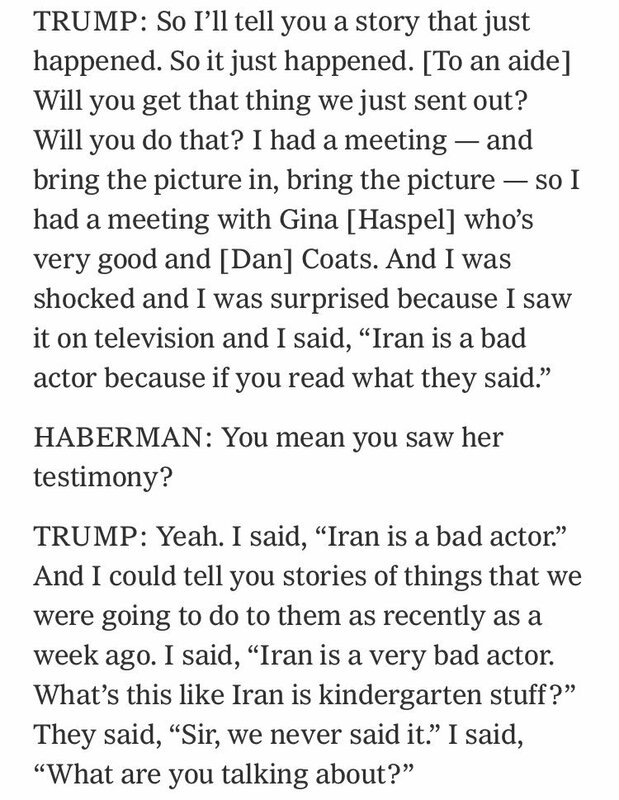 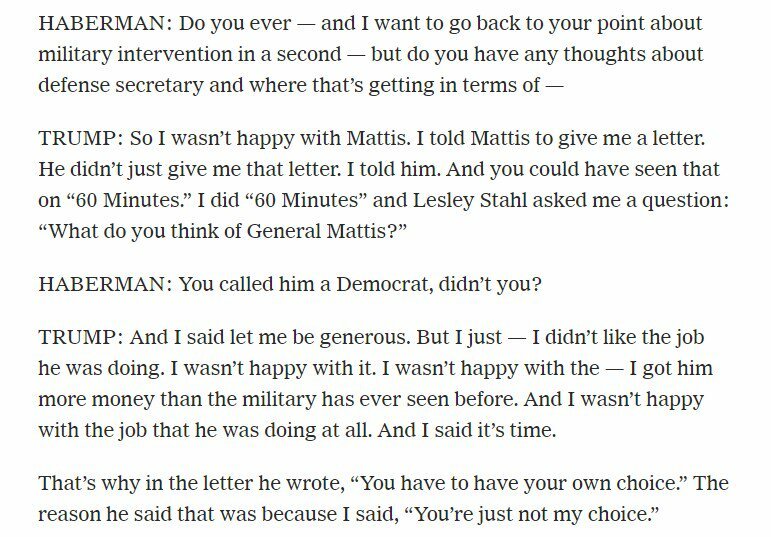 We should be increasingly skeptical that Haspel and Coats told him what he says they told him: he put a “sir” in the story. 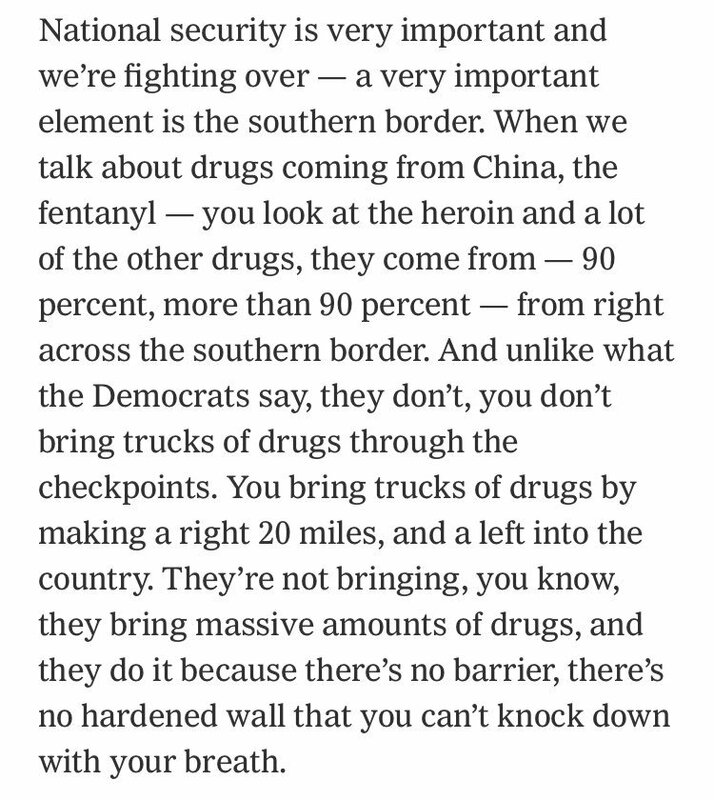 Trump lies that “trucks of drugs” are not brought through legal ports of entry, claiming this is just something “Democrats say.” It’s what his Drug Enforcement Administration says, and what we heard at the El Chapo trial. 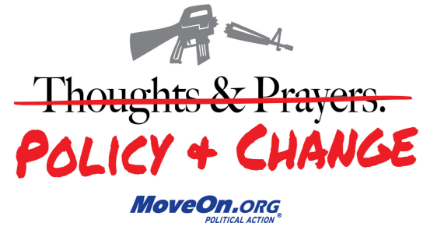 It’s fact.